New Delhi: The Supreme Court has posted for final hearing on November 18 a batch of petitions on whether stray dogs can be killed by authorities if they cause “nuisance” to people. 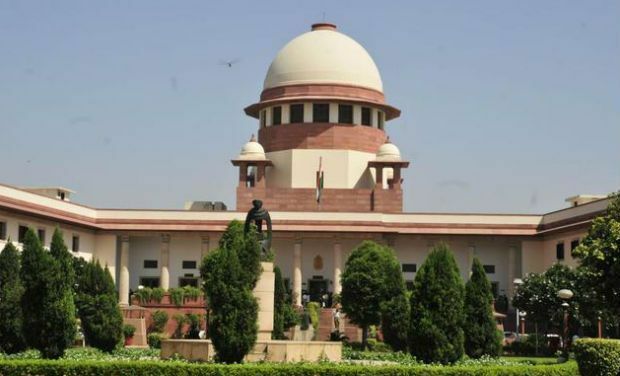 A bench of Justices Dipak Misra and Prafulla C. Pant on Friday tagged a special leave petition filed by the Animal Welfare Board of India challenging a 2006 verdict of the Kerala HC empowering the authorities to kill stray and rabid dogs. The bench after hearing senior counsel Shaym Divan issued notice to the Kerala government and posted the petitions for November 18. The bench said the question of stay of the impugned judgement will be decided on that day. The apex court had on January 23, 2009, stayed a Bombay High Court judgement that allowed municipal authorities in Maharashtra to kill stray dogs causing “nuisance”. The Board in its appeal had said that unless the term “nuisance” was clearly defined, the HC order could not be implemented. It was pointed out that two sets of legislations existed on treatment of stray dogs in Mumbai. The Animal Birth Control Rules formulated under the Prevention of Cruelty to Animals Act of 1960 mandated killing of only rabid, incurably ill or mortally wounded dogs. In the fresh appeal against the Kerala HC verdict, the AW Board contended that the High Court had conferred discretion upon local authorities to seize and destroy any and all street dogs. In Kerala, inhumane methods of catching and killing dogs have been widespread for many years, with no perceptible reduction at all in the dog population or man-dog conflict. On July 9, 2015, the Kerala Chief Minister held an all-party meet, and on the basis of the judgement passed by the High Court on March 3, 2006, declared that ferocious or dangerous and rabid dogs can be killed. It is pertinent that the terms ‘ferocious’ and ‘dangerous’ are not defined in law, the board said.